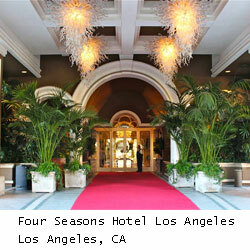 Find list of hotels in California and other types of accommodations. 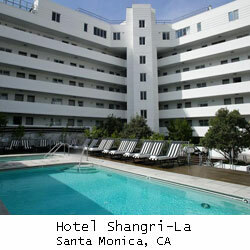 Located in Santa Monica, CA – The boutique 1930s Shangri-La Hotel has the only rooftop bar in Santa Monica with ocean views. 24-Hour Concierge Service, 24-hour in-room dining, rooftop bar & lounge, in-room or courtyard spa services etc. 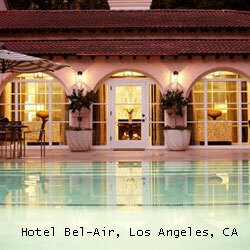 Located in Los Angeles, CA – 5 Star Spanish mission-style luxurious accommodation. The hotel is 13 miles from Los Angeles International Airport and only minutes from Beverly Hills, Century City, Westwood and many of the Hollywood studios. 24-Hour Concierge Service, Business Center, Conference Room, Spa & Wellness Centre etc. Four Seasons Hotel Los Angeles at Beverly Hills is a 5 star luxury hotel located in a quiet palm-lined residential neighbourhood walking distance from Robertson Boulevard shopping and just minutes from world-renowned Rodeo Drive. Private step-out balcony, spa treatments, Mediterranean-style pool, luxurious fitness centre etc. 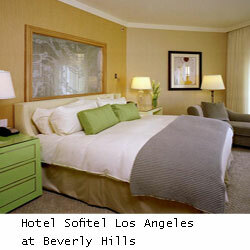 Hotel Sofitel Los Angeles at Beverly Hills is a luxury hotel with French tradition and modern flair, located near Cedar Sinai Medical Center Rodeo Drive Melrose Avenue and Sunset Boulevard. Luxury spa, gourmet restaurant, elegant rooms with free Wi-Fi, spacious bathrooms etc.